Welcome to our virtual resource center designed exclusively for buyers & sellers. Home buyers are the driving force in real estate transactions, with a special set of needs and steps to follow in order to purchase and secure ownership of a home. As the nation’s largest title clearance and insurance provider, we work with all parties to streamline the home buying process and provide long-term protection for home buyers and their newly acquired asset against fraudulent claims, liens, undisclosed heirs and more. Like buyers in residential real estate transactions, sellers often want the representation of a licensed professional to assist in the sales process, as well as an established company like ours to represent their rights fully and accurately through the closing process. 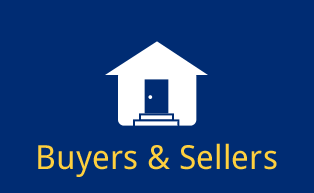 Whether you are just preparing to sell your home or property, trying to determine your asking price, in the process of selecting a REALTOR®, showing your home to potential buyers, or preparing for the close, we offer a full suite of solutions to ensure your rights, as the seller, are protected. Regardless of which side of the closing table you are sitting on, buying or selling a home involves many steps. We offer a wide range of products and services to ensure you know exactly what to expect, and your responsibilities before, during and after closing. Access best-in-class real estate products and services developed to support you from listing through occupancy. Competent funds disbursements, purchase contract execution and property ownership transfer are essential to successful real estate transactions. As your trusted partner, we will manage all aspects of your residential closing from the preparation of the the Loan Estimate to the distribution of funds, document recordings, and even home warranty. A 1031 tax deferred exchange is a simple method of deferring taxes that would normally be due when property is sold. We provide best-in-class guidance and service for 1031 Exchanges through our 1031 Exchange division, IPX1031®.